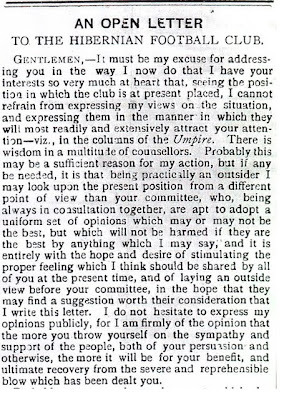 An open letter to Hibernian Football Club that was published in the "Scottish Umpire" on 7 August, 1888. 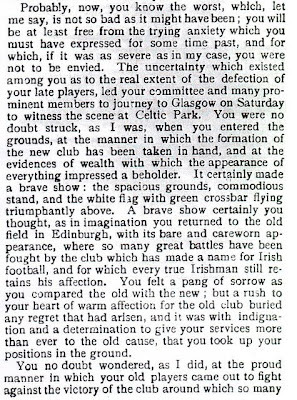 This is only a matter of weeks after a Celtic side took to the field for the first time. Sunday Mail on "Celtics IRA loving elements"